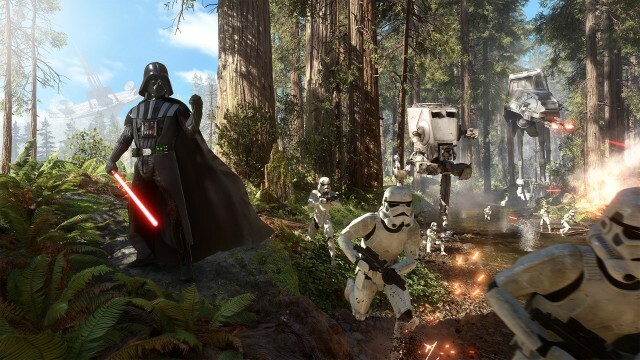 Star Wars Battlefront 2 will be “dramatically bigger” than the first, according to EA CFO Blake Jorgensen, who also teased the addition of characters pulled from Disney’s new line of Star Wars movies. Word comes by way of yesterday’s Morgan Stanley Technology, Media & Telecom Conference – as relayed by GameSpot – where Jorgensen took the opportunity to address the status of Battlefront 2, along with some other EA games looming on the horizon. Bouncing off claims that DICE’s shooter sequel will be “more ambitious” than its divisive predecessor, Jorgensen stressed that Star Wars Battlefront 2 will be “dramatically bigger” than the first in the sense that it’ll not only include a single-player campaign, but also because it’ll feature “a lot of new characters” based on newer Star Wars movies. In related news, the EA executive offered a fleeting update on Jade Raymond’s new action game. It’s still “early, early days,” it seems, but the idea is for Motive Studios to foster its new IP into a franchise. The as-yet-untitled Star Wars Battlefront sequel launches holiday 2017 with a fully-realized story mode to boot. Motive Studios, the developer headed up by former Ubisoft veteran Jade Raymond, will take point for the shooter’s single-player component. Other Star Wars titles incubating in development include Visceral’s third-person action game and the mysterious licensed game brewing at Respawn, the studio best known for the Titanfall series.